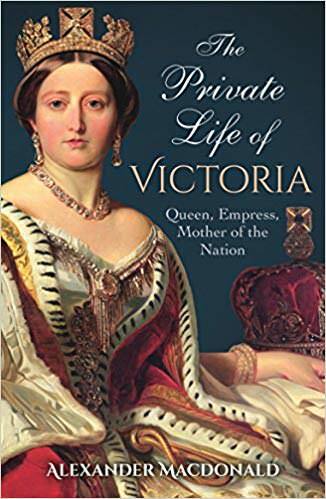 The Private Life of Victoria: Queen, Empress, Mother of the Nation by Alexander MacDonald is a non-fiction book, about the Queen’s personal relationships before, and during her reign. Mr. Macdonald is a military historian and author. I really enjoy min-biographies, always have. A biography which happens over a certain period of time, or concentrated on a specific topic. I find them easy to digest than a thousand page behemoth, impossibly trying to encompass the intricate life of an individual. This is why I chose to read The Private Life of Victoria: Queen, Empress, Mother of the Nation by Alexander MacDonald, the second longest English monarch. Queen Victoria ruled England when she was at the height of her power, a stable world leader, and a powerful player on the world’s stage. The author writes about the way Queen Victoria conducted her personal relationships before, and during, her reign. Not only did the Queen had to be politically savvy, but also be wary of those who want to control her, or simply get in her good graces. At some point in this short book, I started to sense the loneliness and isolation Queen Victoria must have felt. I imagine she found it very difficult to trust new people in her life, especially those interested furthering their personal and political fortunes. I’m not sure I would have been able to differentiate who would I could trust, if at all. It must have been maddening. Even though this book only focuses on Queen Victoria’s personal life, the author still includes a great amount of detail, and wonderful pictures to accompany the text. A short book about a fascinating subject which very few are privy to – the private life of a reigning Queen.